I have been in the workplace injury prevention business now for over 25 years. I wish I had a $10 bill for every time I heard “we are lucky so far, injuries are way down”, or “we’ve had some bad luck lately, our injuries are up”, or something to that effect. 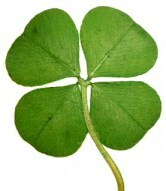 It’s certainly nice to have luck on our side, but unfortunately it is not always dependable. In business and in life, the less control we have over something the more we have to rely on luck; not exactly a highly successful strategy! Control is a word that is sometimes maligned, however, it is a huge key to our success, health and happiness. The more control we have over aspects of our lives, the more successful we are. Whether it be a bicycle, car, computer, job, finances, or our minds, optimal control makes life more fun and rewarding. When we were creating the Backsafe® Injury Prevention Programs, we had to understand the exact cause of back injuries to offer reliable and consistent solutions. We couldn’t sell four leaf clovers for very long and get away with it! We discovered that when people learned the actual cause of back, shoulder and other sprain/strain types of injuries; and learned how to prevent them as it applied to their lives, back injuries went way down and in some companies almost ceased! We rely on luck significantly more so when we can’t control well. Vegas slot machine is virtually all luck because of a total lack of control of those spinning dials. Your employees can control their health better. They just need to become aware of how to do that. The more your employees control their own well-being, the more you are controlling your workers’ comp costs, productivity and lost time. Ralph Waldo Emerson said “Everything in nature goes by law, and not by luck”. The spine (shoulders, wrists, neck too) operates on its own laws, and when one knows them it should last a lifetime…no luck needed!